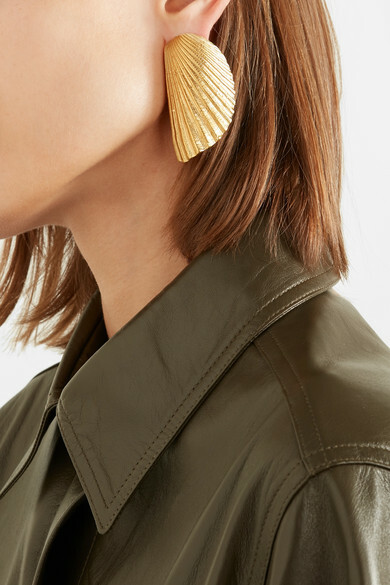 Korean label 1064 Studio takes its name from the Celsius melting temperature of metal, which was required to achieve the gilded finish on these earrings. 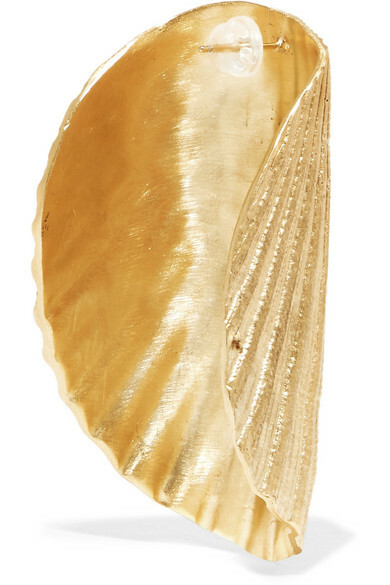 A sculptural approach to the shell jewelry we are seeing everywhere this season, they're cast from gold-plated brass in a statement shape that curves gently around your lobe. 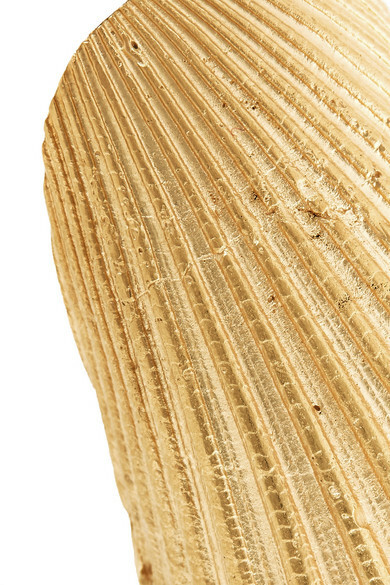 Shown here with: Victoria Beckham Dress.